It’s apple season. I just love apples, their beautiful colors, delicious flavors and the amazing smells that come from the kitchen when I bake with them. I am looking forward to my first honey crisp of the year very soon. I love incorporating apples into my early fall decorations too. I currently have a bowl full of apples on my table and red accents on my mantle. 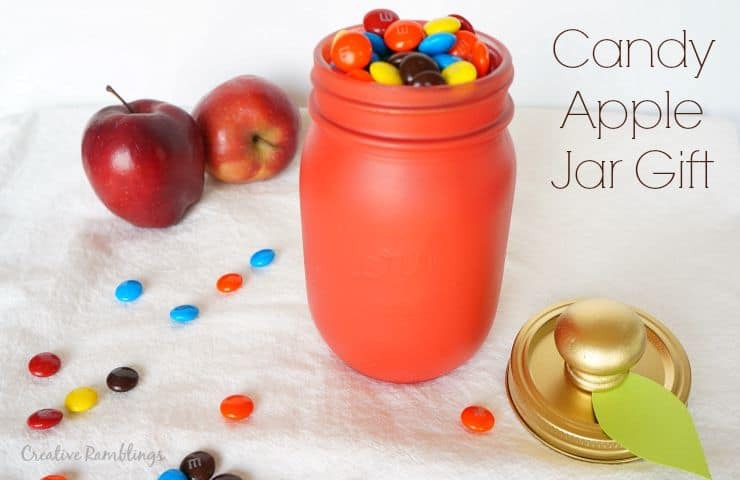 I thought it would be fun to create a simple apple jar gift using a mason jar and one of my favorite candies, M&M’s. 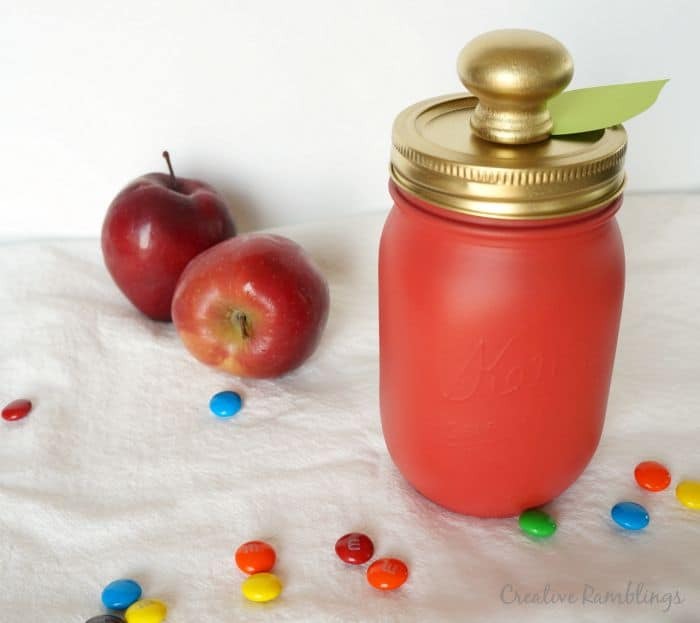 Who wouldn’t want to receive this red apple painted mason jar gift. 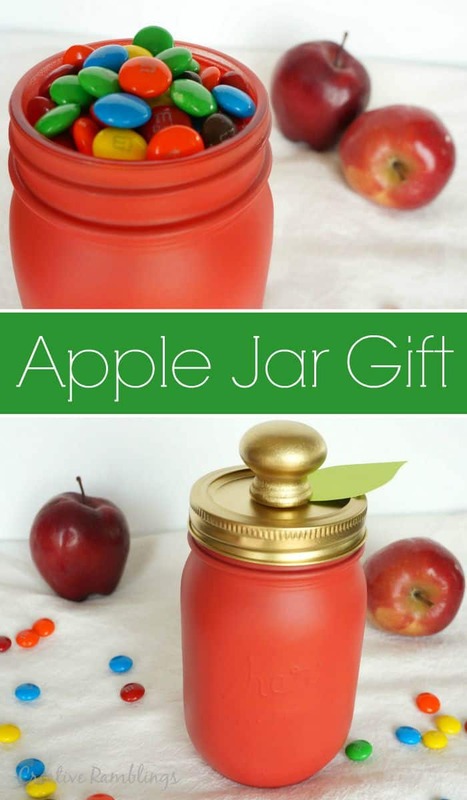 Here is what I used for this apple jar gift: Some of the links below are affiliate links. I started by spray painting the jar scarlet red. This chalky finish spray paint is so easy to work with. 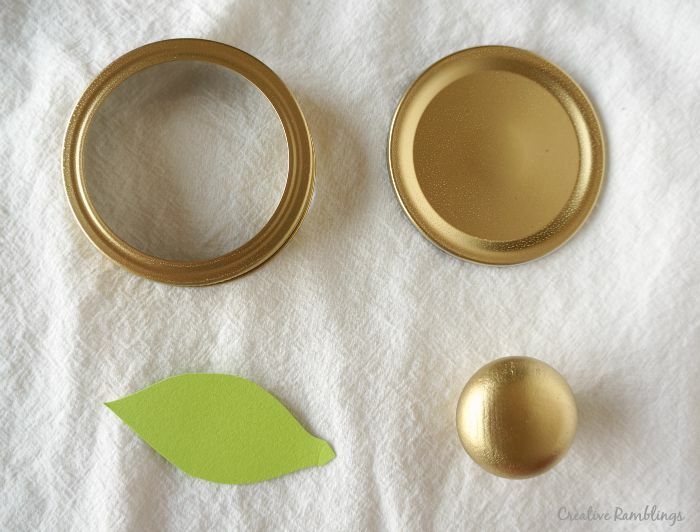 I did 2 coats, about 20 minutes apart, and I ended up with a smooth matte finish that completely covered the jar. This paint comes is a variety of colors and I highly recommend it if you want to avoid brush marks. Then I sprayed the lid and pull a metallic gold. To assemble the lid I used hot glue to attach the leaf then the pull on top. I filled the jar with M&M’s, I am loving the dark chocolate right now but I’m also very excited for their new fall flavors like pecan pie! This gift would be perfect for a teacher, a co-worker, a hostess or just about anyone. It can be filled with candy or gify items and can double as a nice fall decoration too. 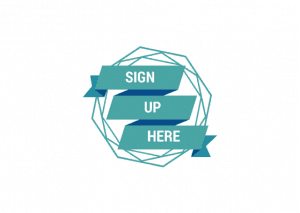 If you haven’t already, be sure to subscribe to Creative Ramblings and download you free Anatomy of a Jar Gift guide, the easiest way to help you create the perfect jar gift every time. Are you an apple lover? What’s your favorite kind? Thank you, yes I would love to do something like this for a teacher. This is adorable! What a fun little treat and gift for a teacher or friend! Love the red too!